Jessica shares an appalling situation that happened during one of her recent screenings. The Sapphires is released this week. I am seeing it tomorrow. Here are Richard's thoughts. Ryan shares his experiences meeting up with some fellow bloggers - Eric, Nick, Fredo, Kristen and Sam - for Robocop. Also, Ryan's review of Beasts of the Southern Wild is very good. I have recently become a member of the Cinematic Consensus Group, an umbrella group that collaborates the work of its members into one location. After recently watching Once Upon A Time In The West I want to revisit Sergio Leone's Westerns. Steven has completed a great write-up of For A Few Dollars More. Glen Dunks' write-up of Holy Motors is well worth a read. Great insight into the best film of the year so far. Having said that, if you haven't seen it, I would recommend going into this film completely blind. 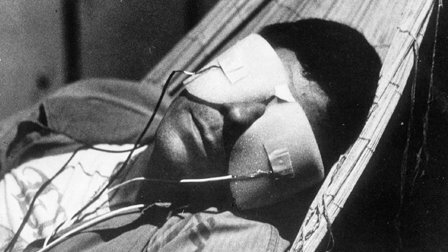 Tyler honours Chris Marker with a review of his most acclaimed film, Sans Soleil. Simon completes his focus on Danny Boyle, taking a look at Slumdog Millionaire, 127 Hours and his work on the Olympic Opening Ceremony. Nice. Simon Miraudo reviews Goon and gives it a thumbs up. Phil review Undefeated. I remember being shocked that Paradise Lost: Purgatory did not win Best Doco. Then I watched this. Nicholas Brodie reviews Enter The Void as part of the Five Star Films feature on Graffiti With Punctuation. Tom Clift begins his MIFF coverage with a review of Michael Haneke's devastating drama, Amour. Finally, I would like to spotlight a blog I recently started following...A Reservation at Dorsia (great name). Check out Ethan's Top 90 Favourite Films. Thanks for the link love. I'm still trying to work out my essay for the entire Dollars trilogy as I'm hoping for a late August/early September release. Thanks for the linkage, and I'm please you linked to the Sans Soleil article. I'm really proud of that post. I have not seen any films from Chris Marker, but your admiration for Sans Soleil has piqued my interest. Cheers and thank you for the link love! The weird thing is that I didn't complain to the staff right after the screening, which I obviously should have. I guess the natural outlet for frustration if you're a blogger is to blog about it. Yeah I usually don't say anything in those situations either. I just keep the anger internal and to myself. People hear about it on Twitter though hehe. Thank you for the link love! Glad to see that you like the name and that you're enjoying my blog.